Trying local food is one of the best joy in traveling. And most cuisines are best when they are cooked by someone’s nonna (grandmother) at home or in a humble or streetside stalls patronized and popularized by locals. At times though, it is interesting to experience atypical fine dining restaurant in a place, especially if the chef appreciates and incorporates very local elements into their creations. 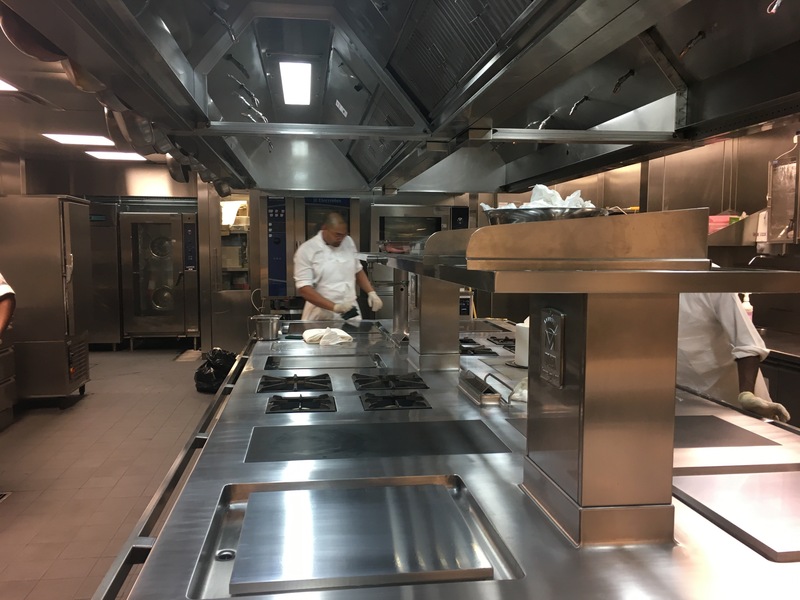 I have been lucky enough to patronize my share from Brazil (Dom) to Colombia (El Cielo) to Mexico (Quintonil) to France (Guy Savoy) to Qatar (Idam). 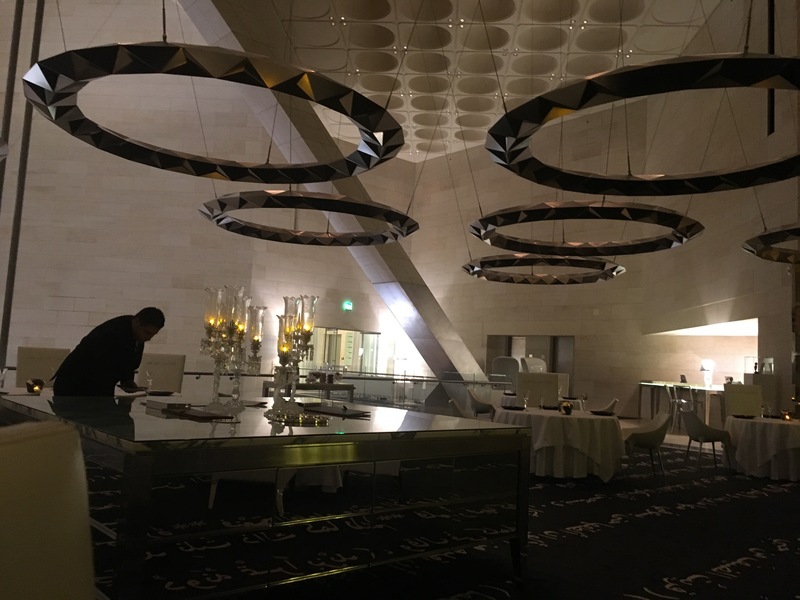 I had an amazing time at Idam by Alain Ducasse, a French fine dining restaurant located in the iconic Doha Museum of Islamic Arts when I was in town in February 2017. Idam is owned by one of the Qatari Princesses I was told. It is alcohol-free and is managed by multi-Michelin stars awarded Alain Ducasse group. The restaurant is designed by Philippe Starck. Befitting its royal owner, I also had a royal treatment there. Philippe Starck designed Idam. He also decorated the chairs with prints of poetry. The Royal treatment started upon arriving at the Museum of Islamic Arts foyer. The maître d of Idam picked me up and there was limited access for the elevators. 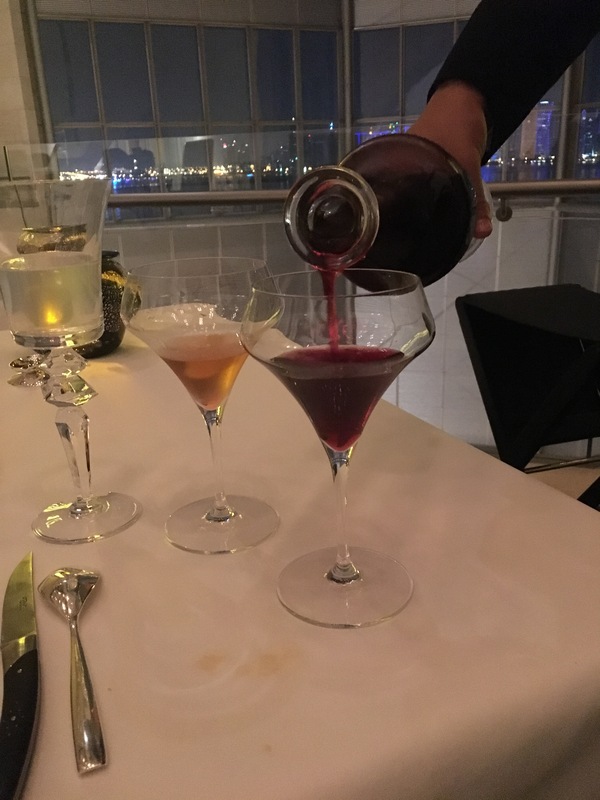 I had the Experience menu, matched with non-alcoholic cocktails to match the food created by chef Damien Leroux. Shoutout also to manager Mathieu Courtin and the rest of the team for an amazing experience. 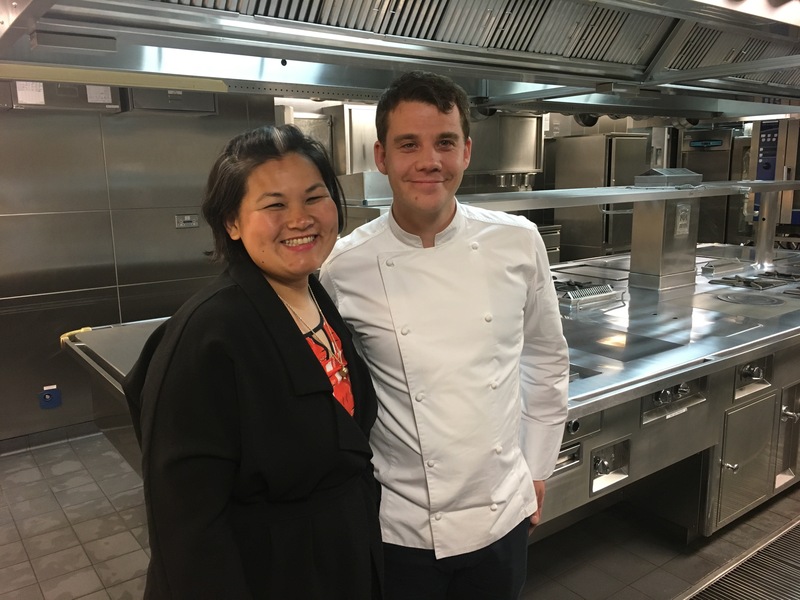 Posing with Chef Damien after the Experience meal. 1. 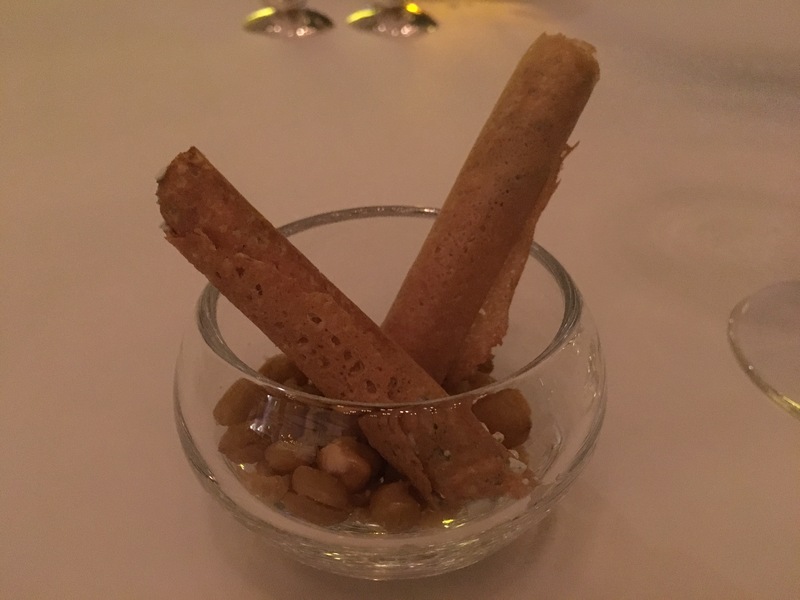 Their signature dish is slow-cooked camel with foie gras. The camel was very tender and a little bit salty, but the foie gras helped balance it out. 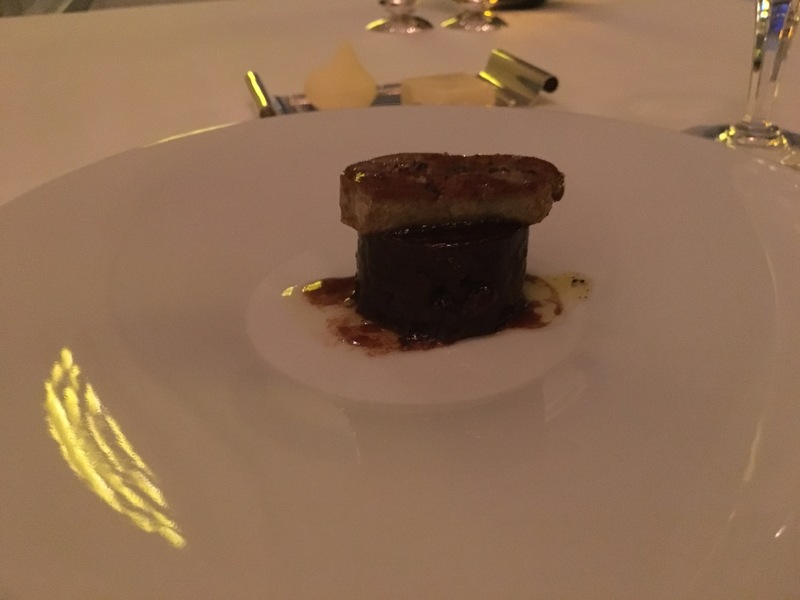 Slow cooked camel and foie gras. 2. 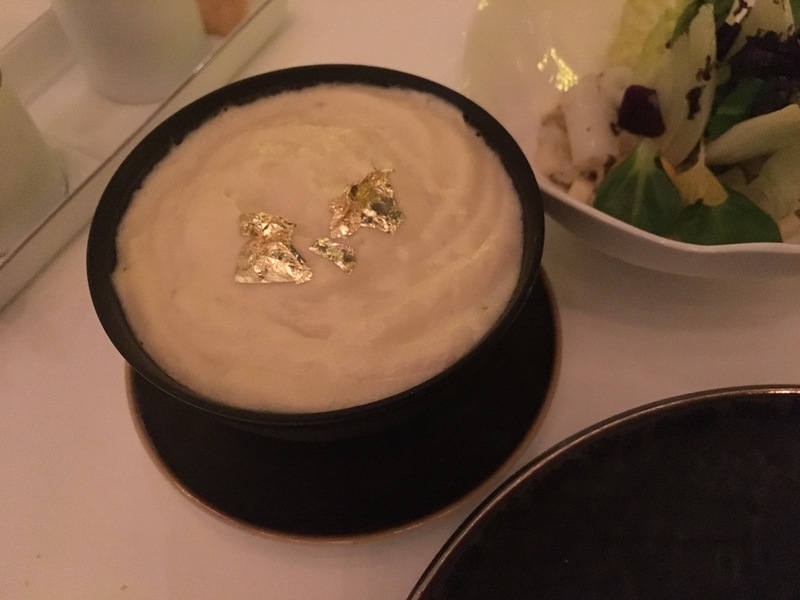 As one of the appetizers, they served hareera, which is lentil hummus topped off with edible gold leaf. It was soo delicious. I was licking the little pot. 3. Chocolate cake in the shape of the Islamic Museum of Arts. I was too full when I got to this cake. I could not enjoy it properly. I love the taste and the idea!!! 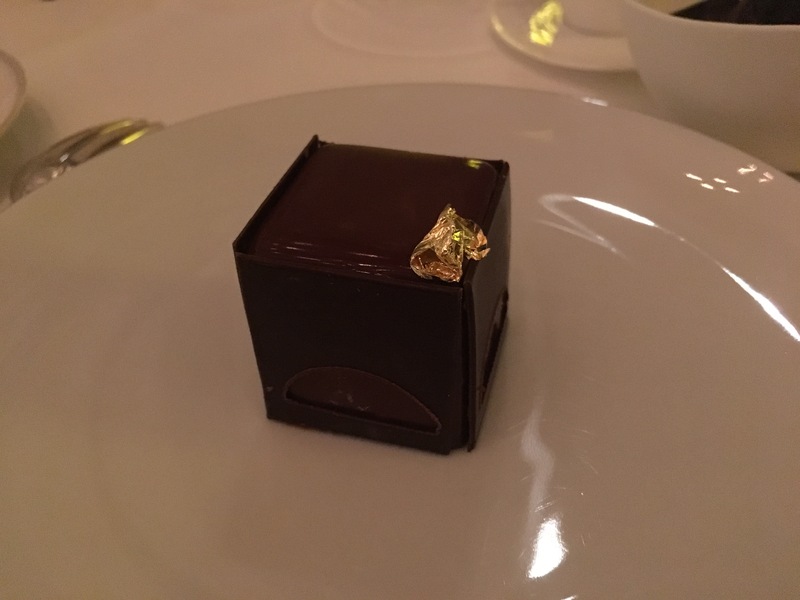 Chocolate cake whose shape is inspires by the Museum of Islamic Arts where the restaurant is located. 4. The Wild Lavender mocktail is made of pomegranate, hibiscus, and dash of lemon. I am not usually a fan of sweet drinks, but I admire the flavour combination here. 5. Rukak chickpeas and labna served as amouse bouche. Delish. The combination of savoury and slight sourness made my tongue danced. I left with no space in my stomach, a memorable evening to top off my amazing day in Doha, and a doggy bag of french cookies and pastries for my early flight the next day. A definite royal treatment.